There are many great resources about what you should do as a presenter pitching your startup to a group of investors. I decided to take the opposite approach, offering advice on what not to do as a presenter. We polled several prominent investors across the Boston area about “What Grinds Their Gears” as an investor hearing startup presentations. As a startup founder, please keep these tips in mind when presenting to investors and use their guidance to help perfect your pitch. ​One of the benefits of early stage investors is the help and guidance that they can provide along the way due to their experience working with many startup companies like yours in the past. Being upfront and honest about not only the successes but also the challenges of the business is key in any founder-investor relationship. If your biggest challenge is to date is an area of the investors expertise, their value-add expertise will help you to grow the company much quicker and avoid the “bad news” calls down the road. 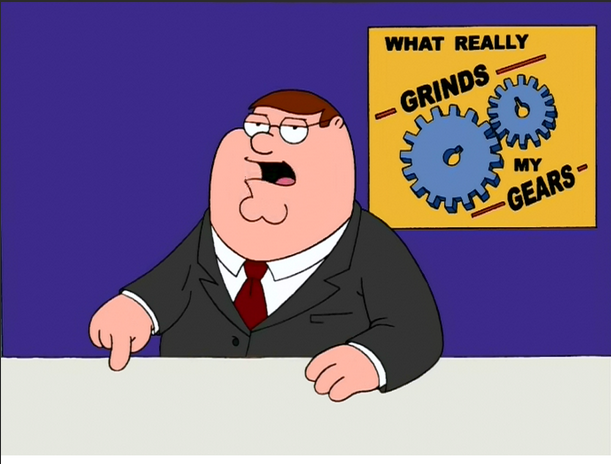 “You know what really grinds my gears? The first is relatively trivial but is shared by many of my angel colleagues: the expression “conservative projections” appears in every freaking pitch. We know you think they’re conservative, but we have yet to see a company achieve their “conservative” projections, so whenever the phrase is used, we simply smile knowingly at each other. The first mistake is easy to avoid, simply do NOT refer to you projections as conservative. In fact, all investors know your projections are just that, projections. The goal of creating them to showcase the founder’s knowledge of the market and the relationship between revenue factors, users, employees, costs, etc rather than exact figures. It is important that the company goals shown in the projections are ambitious enough to attract investment, but realistic enough to show an accurate assessment of the market conditions. Secondly, in determining the value of the business, think of why a corporation acquires other firms for large sums of money: because they view the dealer as cheaper for them to acquire the established firm than hire the staff and assets to build up a competing business internally. In the same realm, if a corporation to get to where you are today with an investment of $2 million dollars, than your company should not be valued at more than $2 million no matter how much investment it took you get to there. ​Before reaching out to a Venture Capital firm, Angel Group or Family office, be sure to check out their company website, Social Media pages, Crunchbase and AngelList to determine if your company fits into their portfolio. Being able to tell an investor not only why they should invest in you, but why you reached out to them is key (i.e. We know you have enjoyed success in the industry with company x and we are looking to leverage your industry relationships as we scale our business). Also, if the investor has a blog post, book or podcast you can reference when reaching out, this helps turn a cold introduction into a warmer one. ​With minimal resources in the startup phase, it is key to develop expertise in a specific niche before expanding. Developing a target user group and focusing on fine tuning based upon their feedback allows you to develop a brand as a leader in that specified space. Listening to user feedback is key, and companies should be open to pivoting their business if their audience is more interested in a certain feature or a new direction of their product, or if another user group appears to be a better fit for their company. Only once the company has grown as a leader in the niche should they begin to pursue duplicating their model or expanding offerings into other spaces. ​​Especially at an early stage, investors are investing in the Entrepreneurs that can build and grow the business. They need someone leading the company that is passionate about the business and will put the necessary blood, sweat and tears into making the company a success. Most companies end up pivoting away from their original business plan, so the team leading the business is the most crucial element and enthusiasm is the driving force behind the early growth of the startup.